Capturing exciting moments from the big fat Indian wedding is our motto at Yarri Dostii Shaadi. Since the show is being filmed from the perspective of a best friend, on-set fun ranges from a joyous bride wanting to ride a bike on her wedding day to dancing in her own baarat. The show gave me the freedom to style as I would a real wedding, using my bridal and occasion wear, along with some stunning Pink City jewellery (think artistic jadau and meenakari designs in gold). tise the designer has to offer about styling and silhouettes. Your favourite shows on TV. When Ia��m unwinding I like watching shows like Masterchef, The Apprentice, So You Think You Can Dance. Amongst the Indian shows, I enjoy watching Indiaa��s Got Talent. They are non-dramatic and fun. What never fails to inspire you? I think innovation, and going the extra mile.There is no creative satisfaction otherwise. Fashion in the time of e-commerce. tyling for films v/s television. Films are scripted, and the styling is usually as per the plot and the character of the artiste. It can be extremely challenging, and gives us a little freedom to experiment. 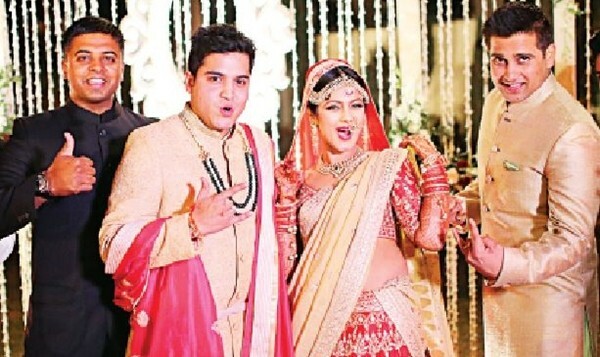 However, being part of a reality show like Yarri Dostii Shaadi helps me connect to the bride, and design something exciting according to her personal style.